junction box with IP protection | KOPOS Elektro Kft. 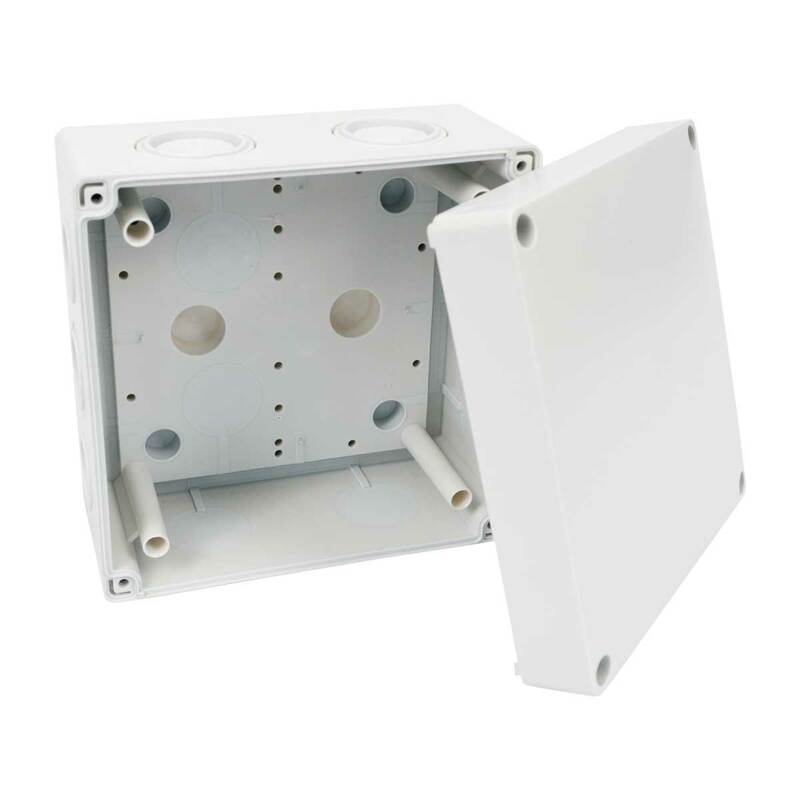 Intended for installation in environments that require IP 66 protection. Integrated knockouts for mounting on base. Intended for direct installation on the surface without having to support with insulating pad. Perfect sealing of cables and pipes. The stainless screws for lid installation and caps for the heads of the mounting screws are included in the package. 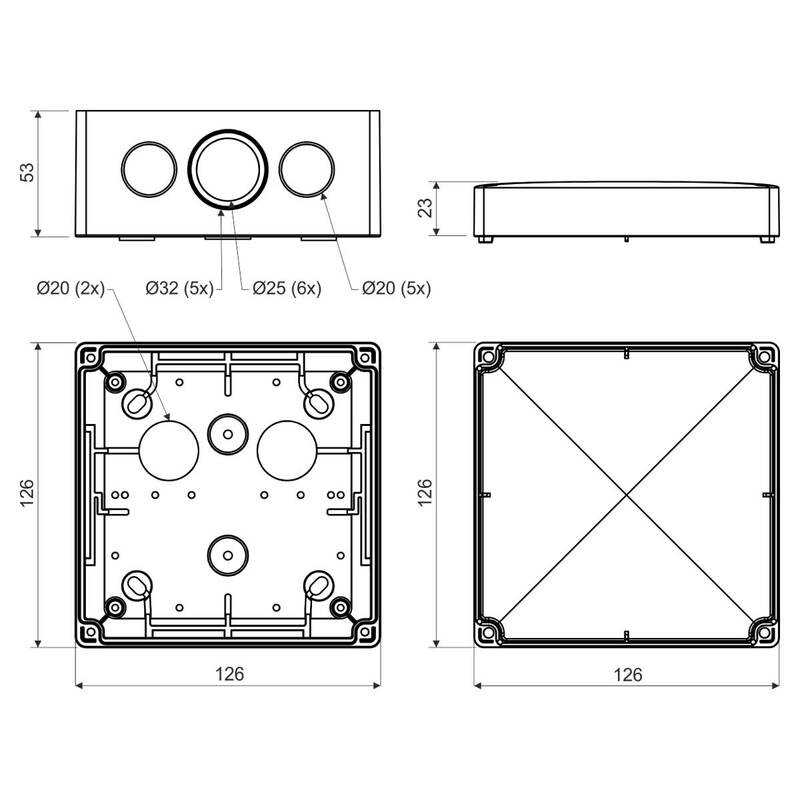 Option to install special terminal plate (S-KSK 2). Integrated O-ring to install cable glands. Alternatively the box is also available as fire resistant box, see the catalogue Systems maintaining functionality during fire. 7x membrane inputs with Ø20 mm, 6x Ø25 mm and 5x break-out inputs with Ø32 mm.